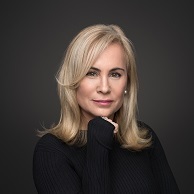 SuperConference 2019 delivers the key insights and practical solutions today's general counsel need to manage and better leverage C-Suite relationships, prevent/mitigate the risks of a cyber attack, successfully overcome a litigation crisis, do more with fewer resources and MUCH MORE! SuperConference draws a senior level audience of in-house counsel from Fortune 1000 and multi-national companies in the US. 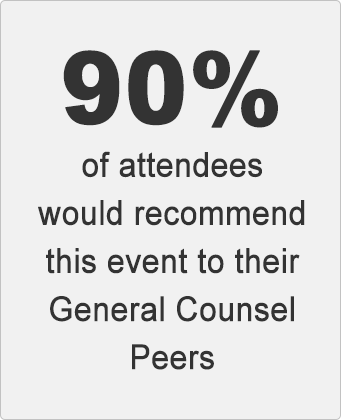 While the event is focused toward senior-level in-house counsel, given the issues and nature of the content, SuperConference also draws participation from non-legal C-Suite executives as well as law firm senior partners. Job functions includes: CLO (Chief Legal Officer), GC (General Counsel), AGC (Assistant General Counsel) and deputy GC, law firm senior partners, attorneys and corporate executives. "Excellent presentation. I could have sat through another 1 1/4 hours. Informative and relevant." "Best panel I've seen. The panelists were very engaging, interesting, and they each had a unique perspective and complimented each other well." "I appreciated the candor of their advice. It provided a "real" perspective using hypotheticals to elaborate or further explain their points. Excellent way to prove the point."